120 Rue Lafayette, Paris. Communist Party Headquarters 1936. International Headquarters for the recruitment of the International Brigades. 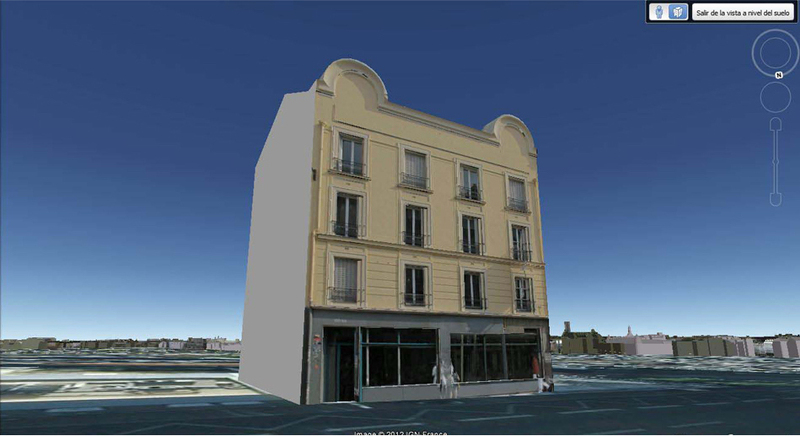 Building reconstructed in 3D. 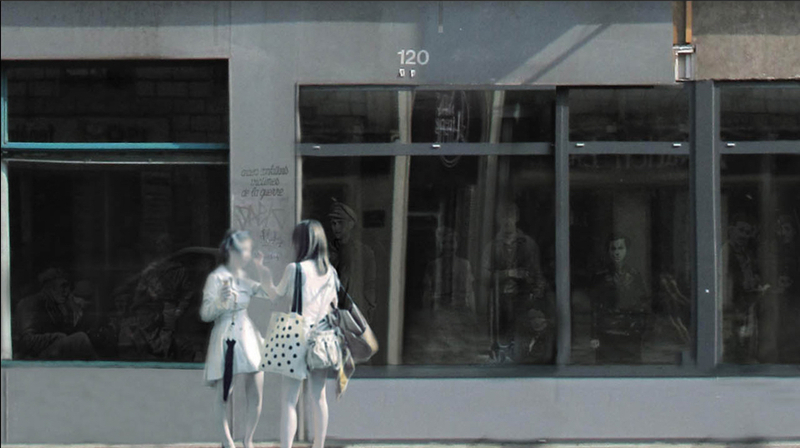 Facade Rue Lafayette 120. Modified with posters of that time calling for the recruitment of brigadiers and with images of brigadiers that, like ghosts from the past, seem to inhabit the interior of the building, bringing together the past and the present. 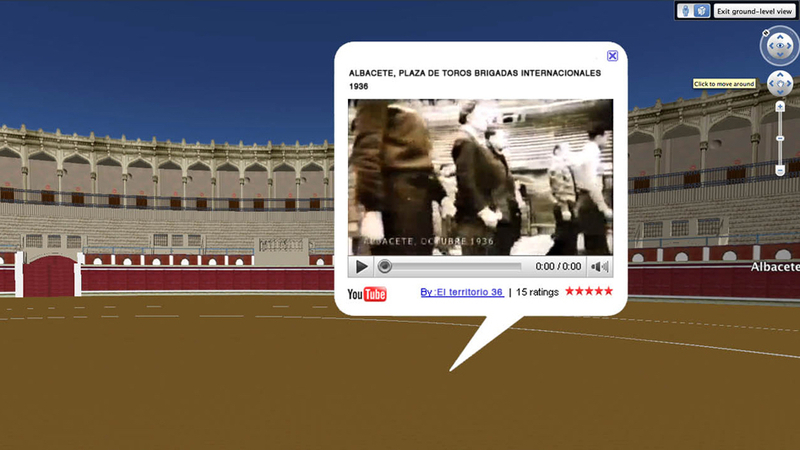 Albacete´s bullfighting ring, video integrated into the virtual reconstruction of the ring. 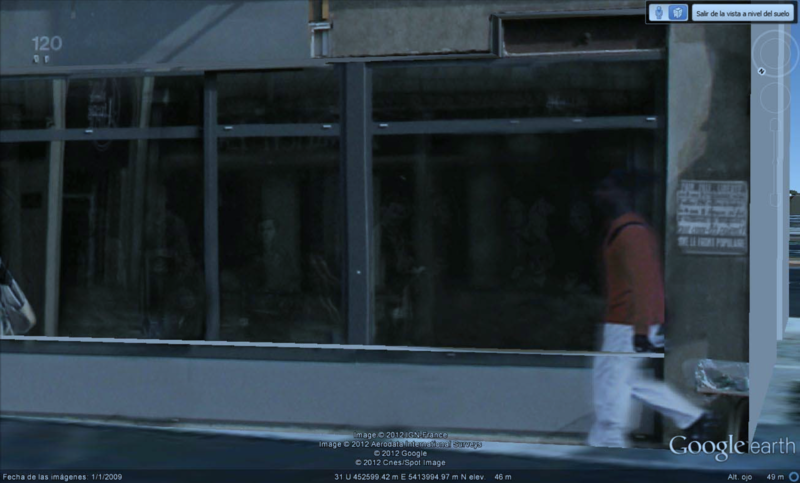 Virtual Time is an experiment to visualice the past of places and building in its virtual construction in Google Earth. For the experiment I reconstructed the trip of the International Brigades to Spain during the Spanish Civil War. To recreate this trip I made in 3d some historical places that form part of this journey adding some layers from the past. The historical journey and the building were published online. Google Earth users could access to them until the 3D review process was retired by Google on October 2013.